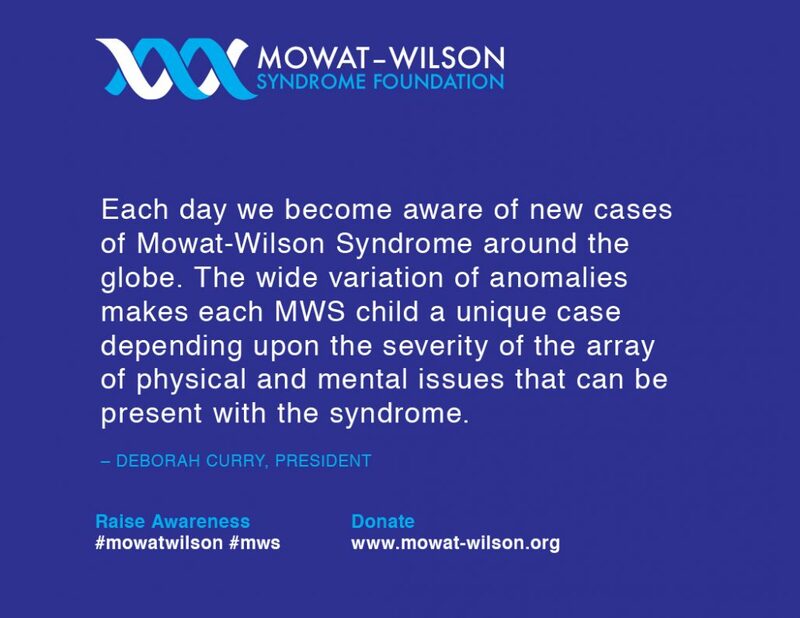 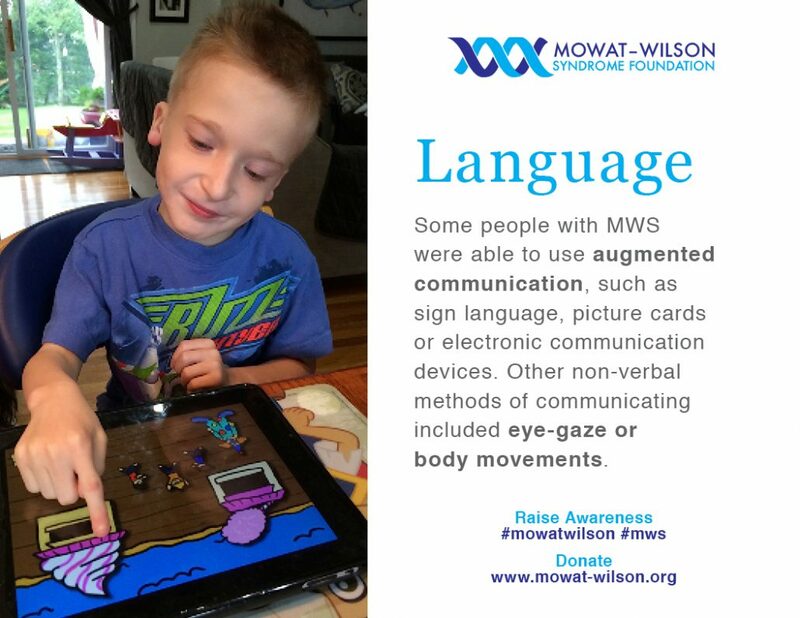 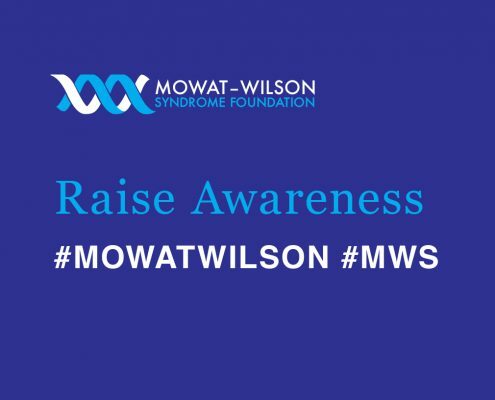 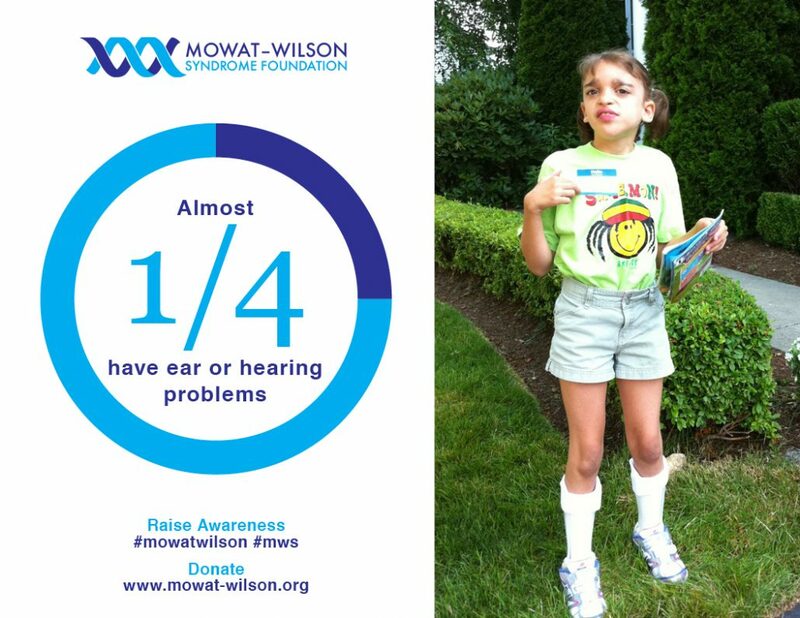 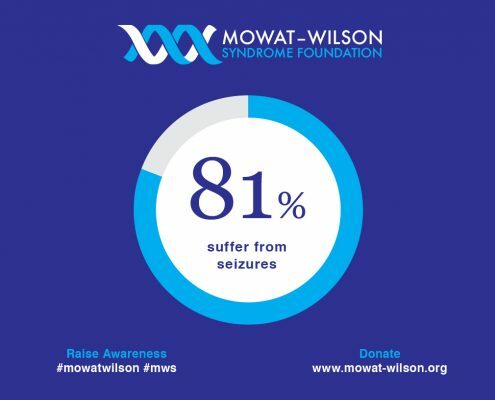 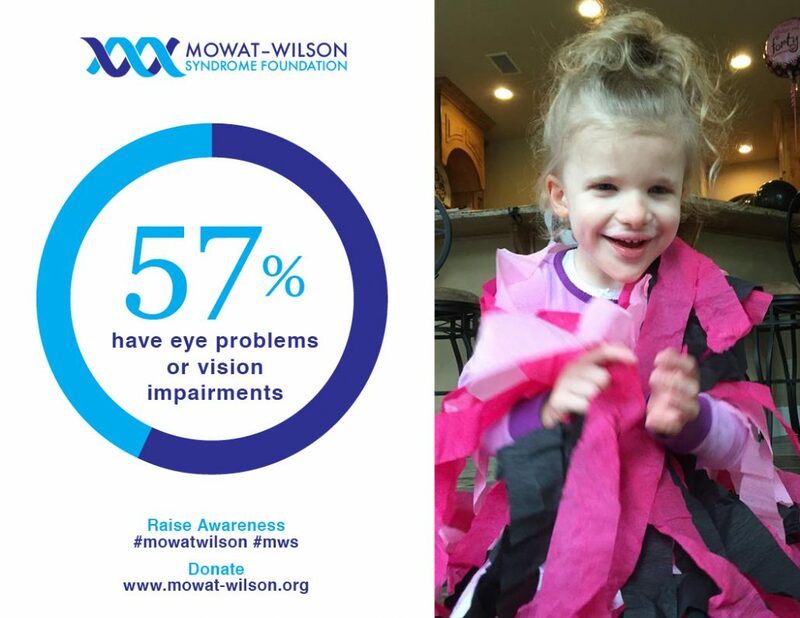 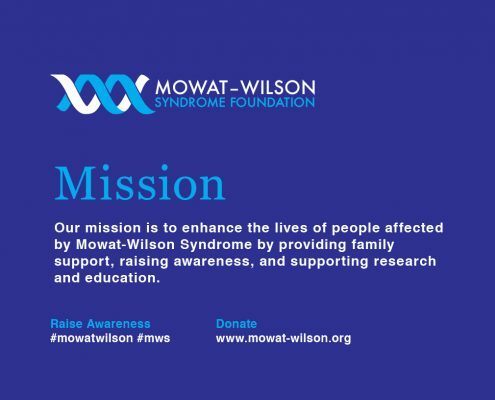 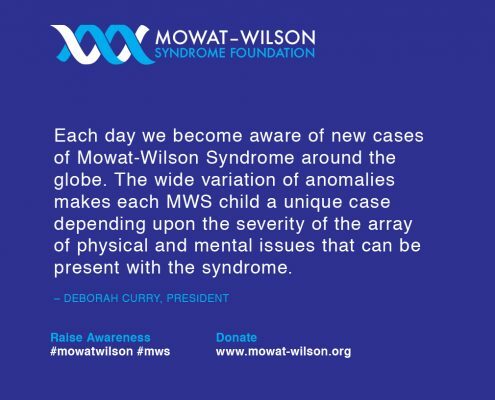 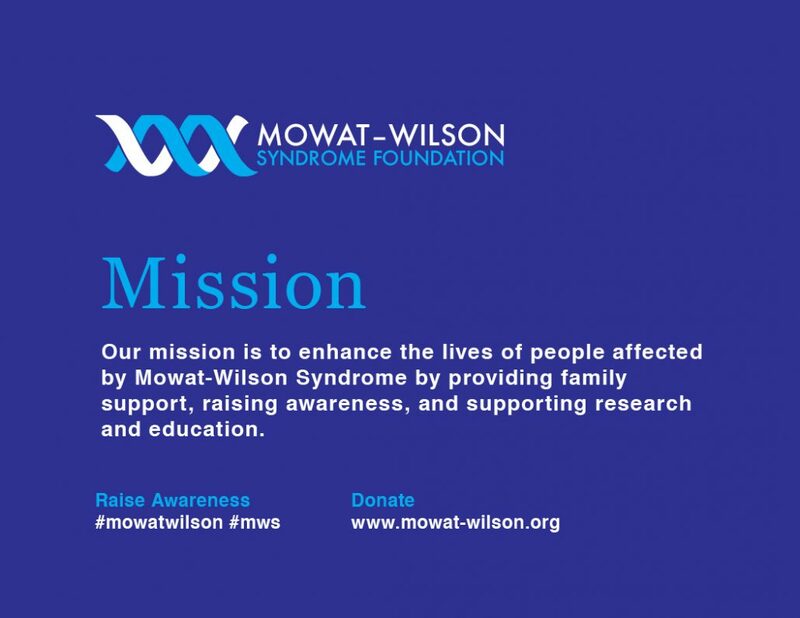 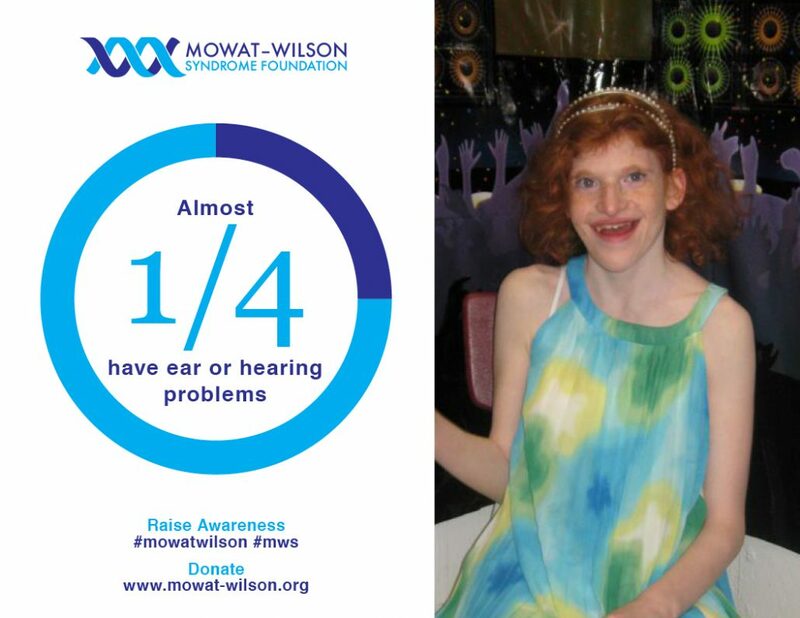 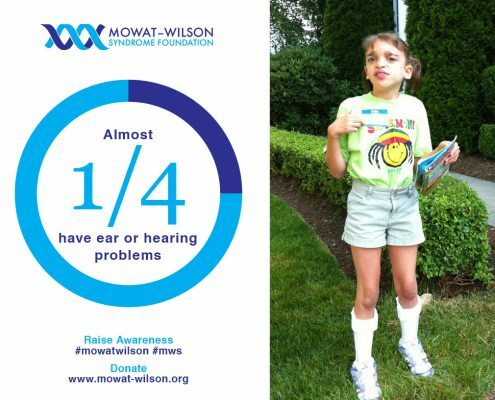 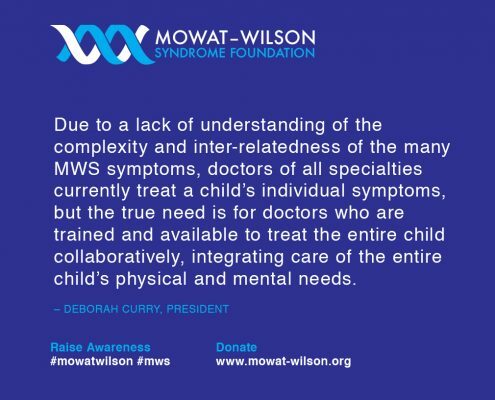 Mowat-Wilson syndrome is a genetic condition that affects many parts of the body. 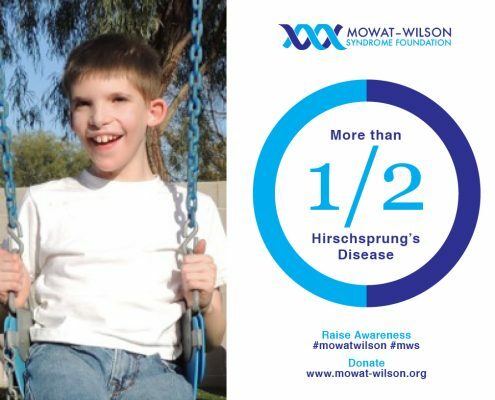 Major signs of this disorder frequently include distinctive facial features, intellectual disability, delayed development, an intestinal disorder called Hirschsprung disease, and other birth defects. 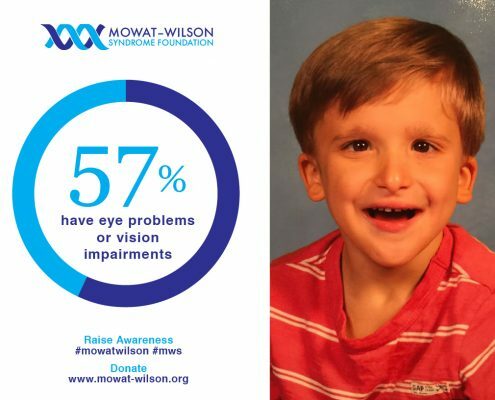 Children with Mowat-Wilson syndrome have a square-shaped face with deep-set, widely spaced eyes. 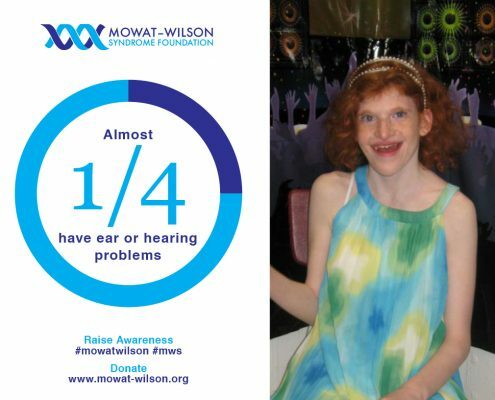 They also have a broad nasal bridge with a rounded nasal tip; a prominent and pointed chin; large, flaring eyebrows; and uplifted earlobes with a dimple in the middle. 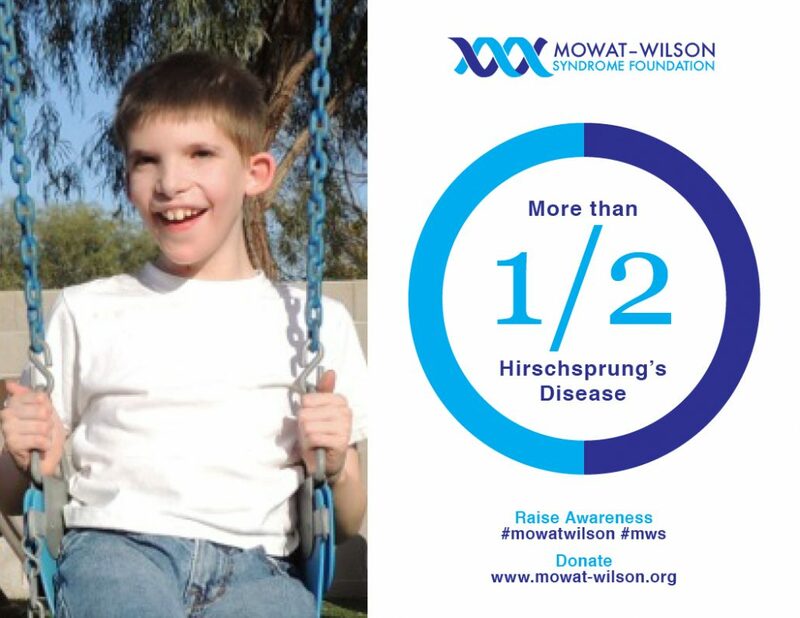 These facial features become more distinctive with age, and adults with Mowat-Wilson syndrome have an elongated face with heavy eyebrows and a pronounced chin and jaw. 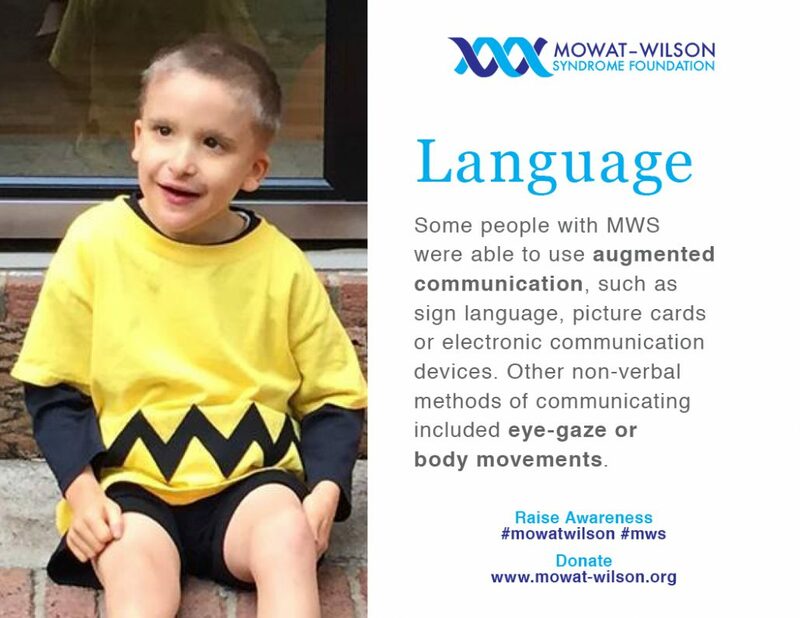 Affected people tend to have a smiling, open-mouthed expression, and they typically have friendly and happy personalities. 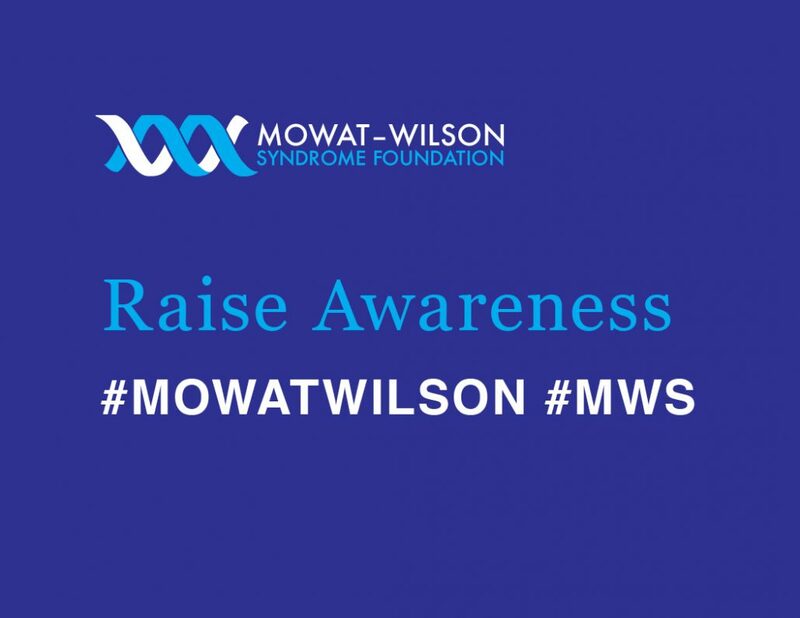 Mowat-Wilson syndrome is often associated with an unusually small head (microcephaly), structural brain abnormalities, and intellectual disability ranging from moderate to severe. 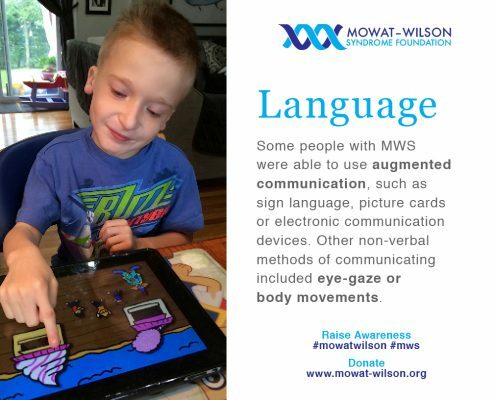 Speech is absent or severely impaired, and affected people may learn to speak only a few words. 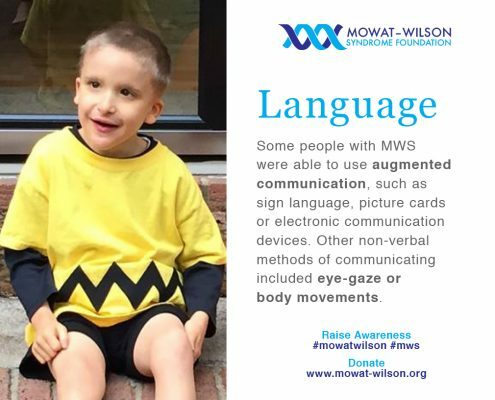 Many people with this condition can understand others’ speech, however, and some use sign language to communicate. 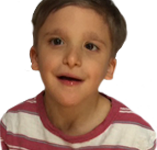 If speech develops, it is delayed until mid-childhood or later. 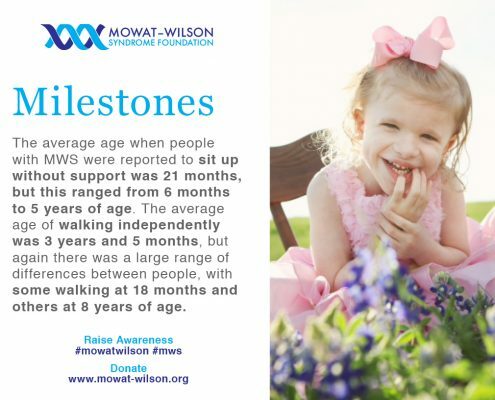 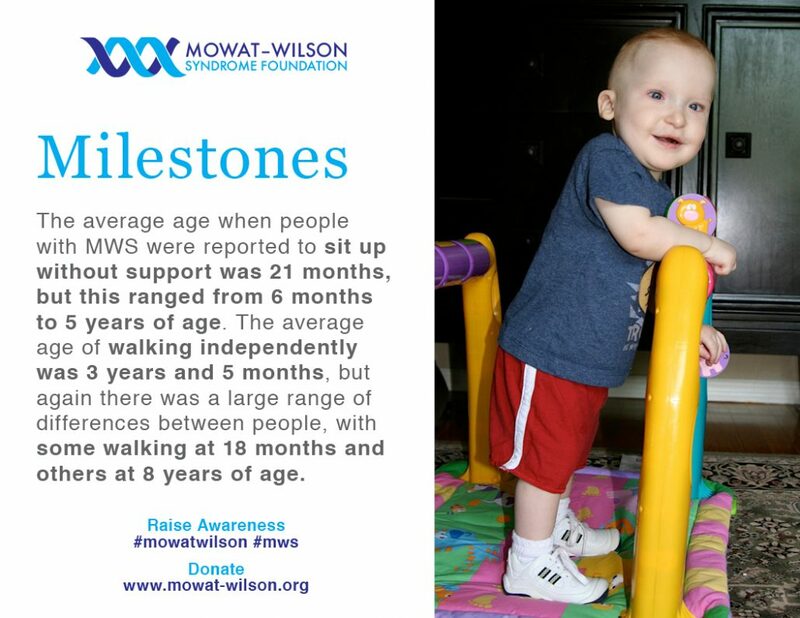 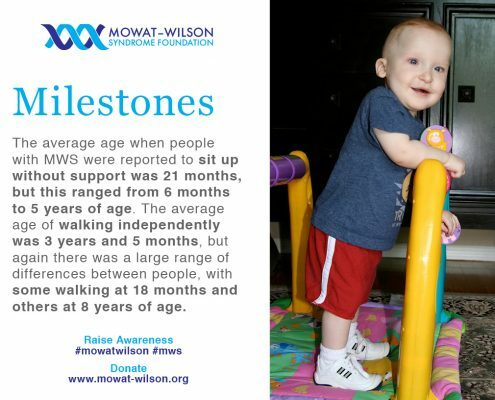 Children with Mowat-Wilson syndrome also have delayed development of motor skills such as sitting, standing, and walking. 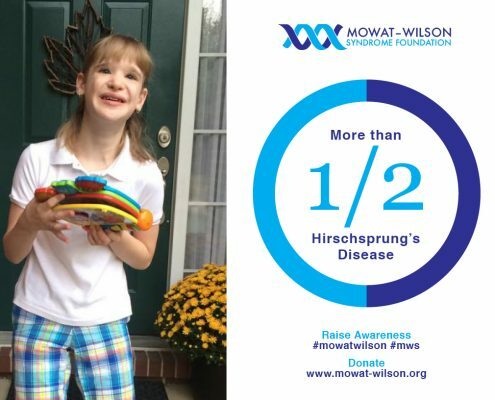 More than half of people with Mowat-Wilson syndrome are born with an intestinal disorder called Hirschsprung disease that causes severe constipation, intestinal blockage, and enlargement of the colon. Chronic constipation also occurs frequently in people with Mowat-Wilson syndrome who have not been diagnosed with Hirschsprung disease. 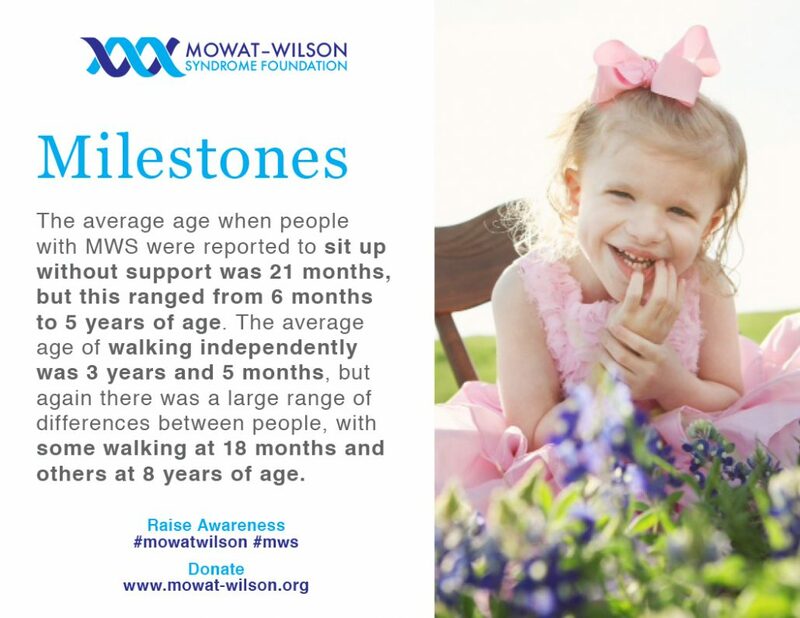 Other features of Mowat-Wilson syndrome include short stature, seizures, heart defects, and abnormalities of the urinary tract and genitalia. 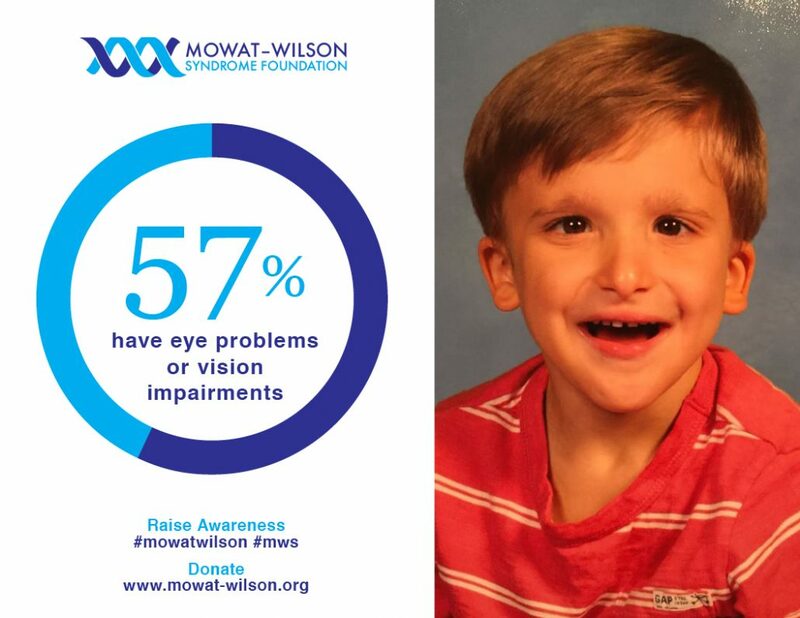 Less commonly, this condition can also affect the eyes, teeth, hands, and skin coloring (pigmentation). 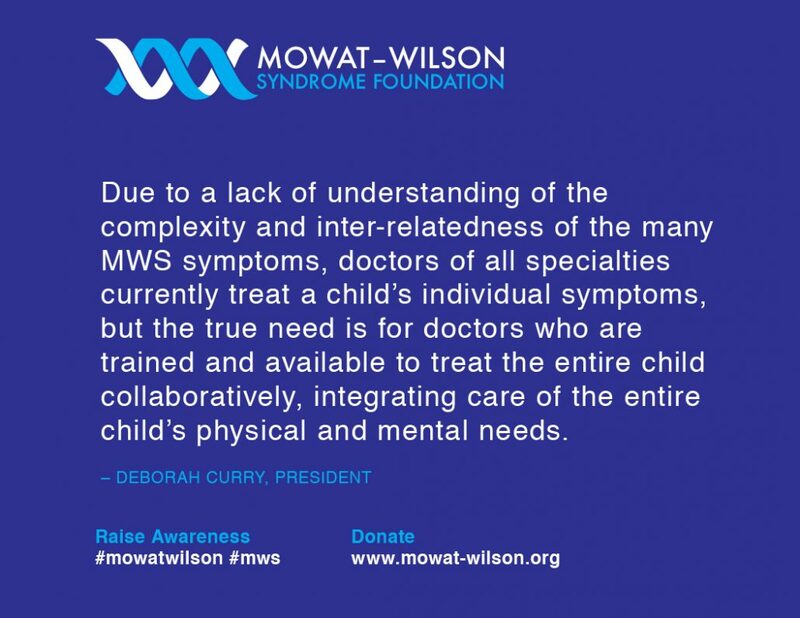 Although many different medical issues have been associated with Mowat-Wilson syndrome, not every individual with this condition has all of these features.